The York Tories return to The Hilton for our annual summer ball. Don your tuxes and dresses and join us for a night of good food, good wine and good company. 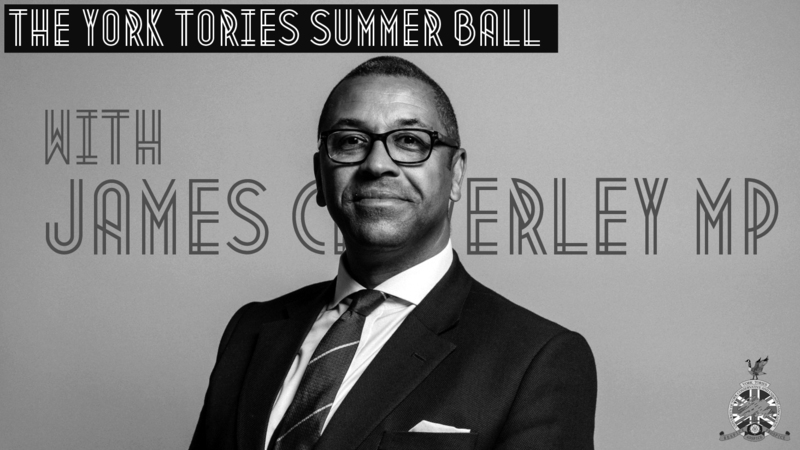 We are delighted to announce that James Cleverly MP, Deputy Chairman of the Conservative Party, is our guest of honour for this ball! He is known for his optimistic and impassioned speeches- something we could all use in times such as these! He will be giving a speech during the course of the evening and will take questions from the audience. The evening will consist of a three course meal with bucks fizz on arrival, table wine and coffee afterwards. As is tradition for these dinners, a raffle will be take place after the dinner.